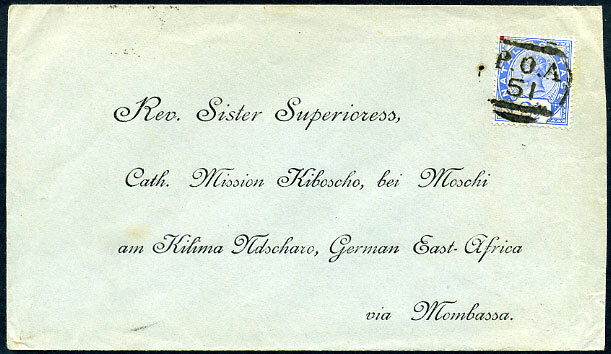 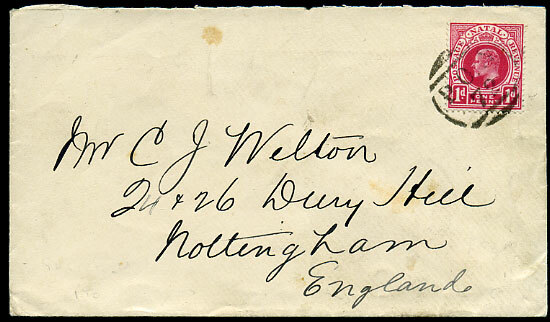 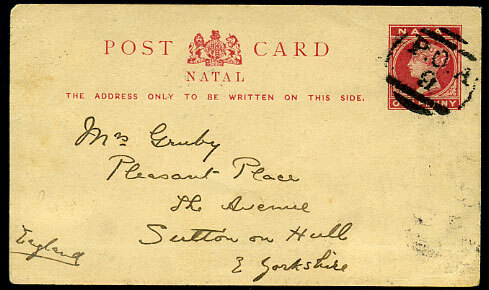 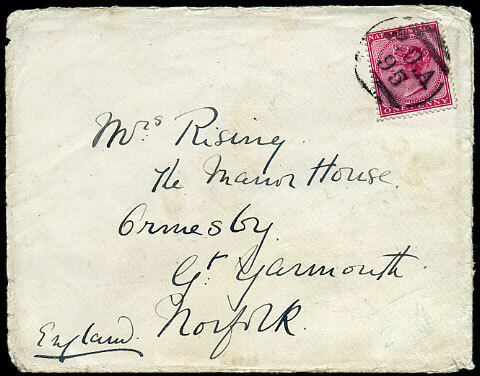 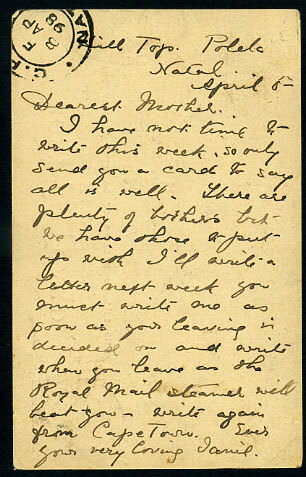 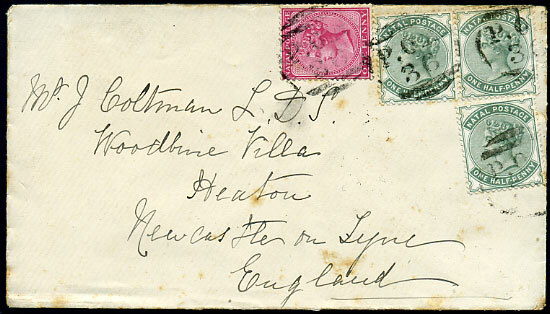 on QV ½d x 3, QV 1d cover to Mrs. J. Coltman L.D.S., Heaton, Newcastle, reverse m/script "E.S. 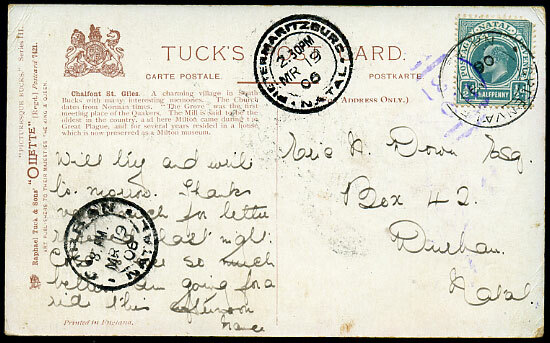 Bicycle" on flap plus GPO 18 SP 97 despatch and C/OC 11 97 arrival, toning. 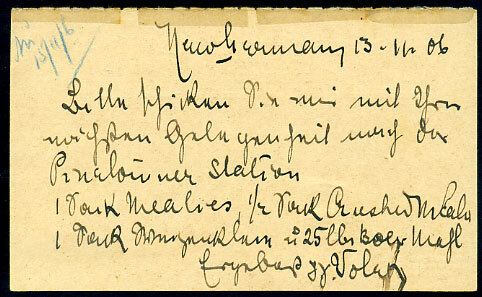 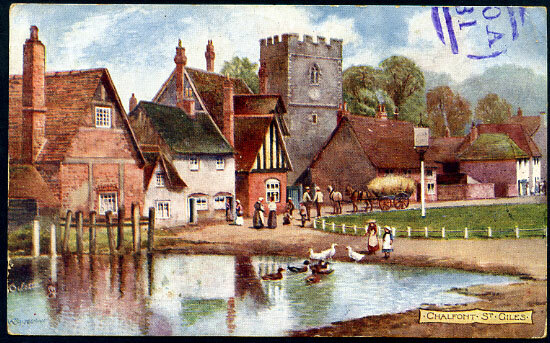 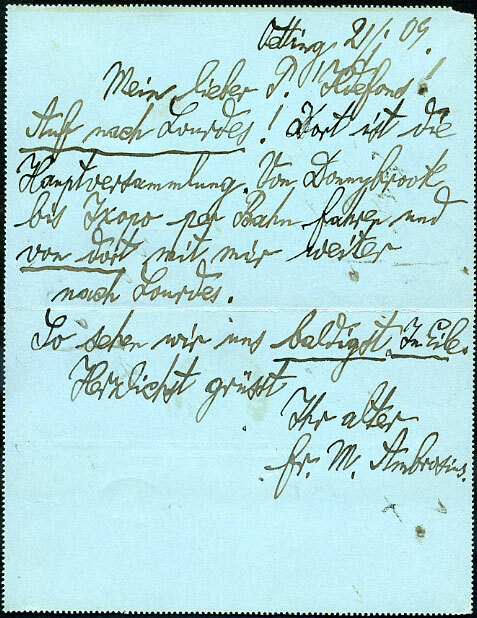 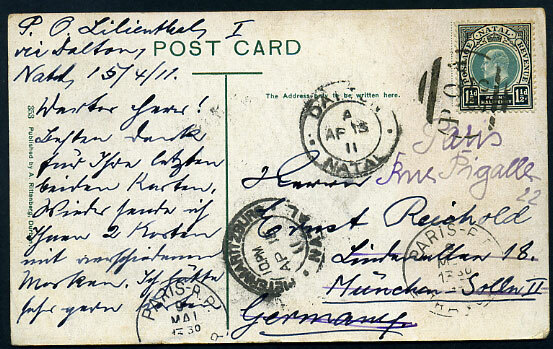 tying KE7 1½d on col. ppc of "A Native Homestead" to Germany re-addressed France showing Dalton and Pitermaritzburg AP 15 11 transits. 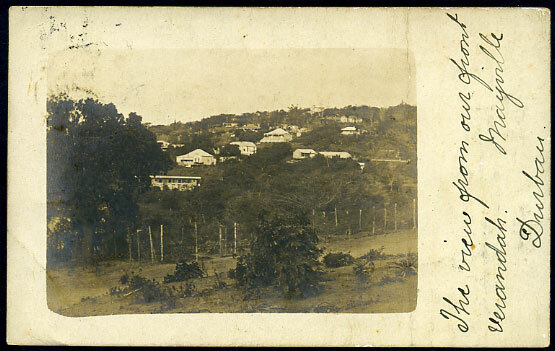 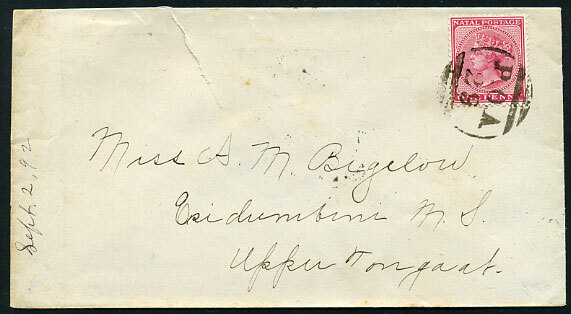 on QV 1d rate cover to Esidumbini Mission Station, Upper Tongaat, b/stamped UMZINTO 30 8 92, Durbam M/AU 30 92, Tongaat 31 8 92, flap opening tear extends into face at top. 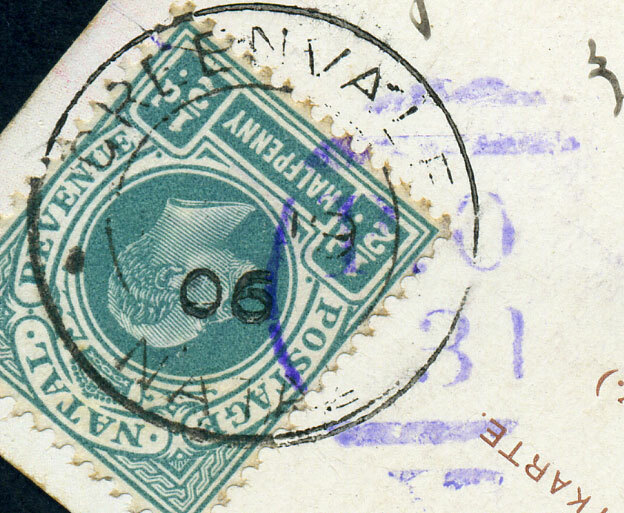 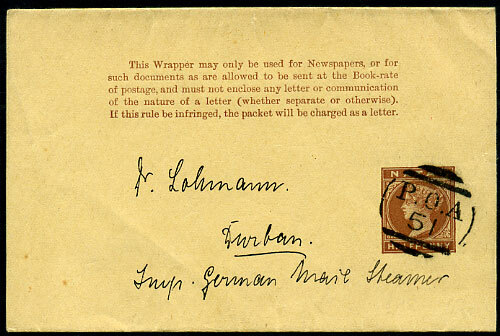 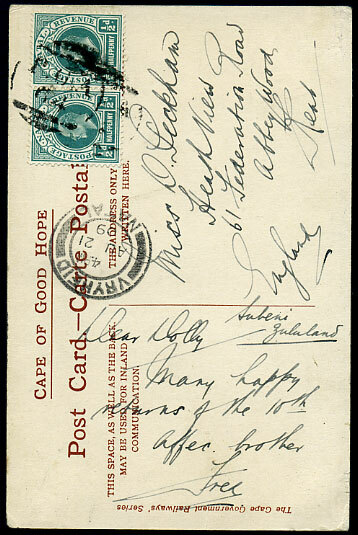 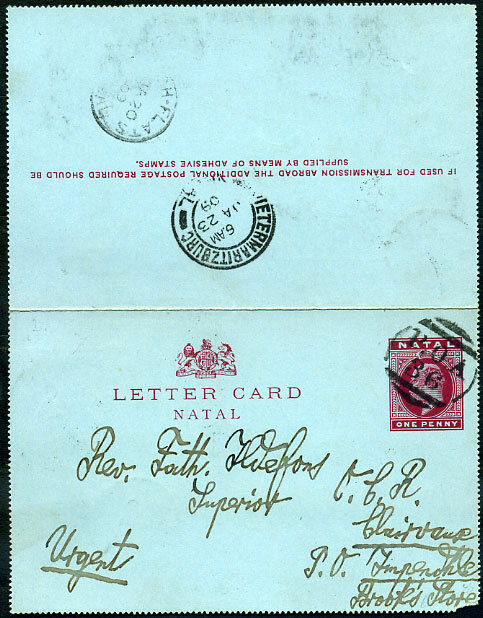 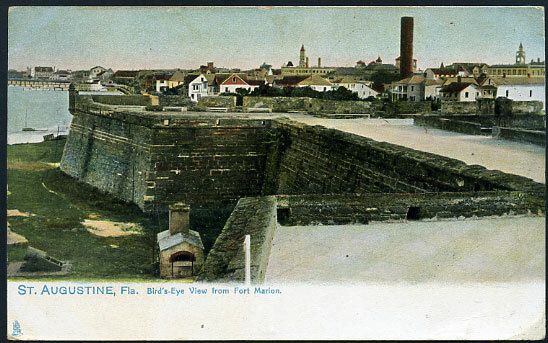 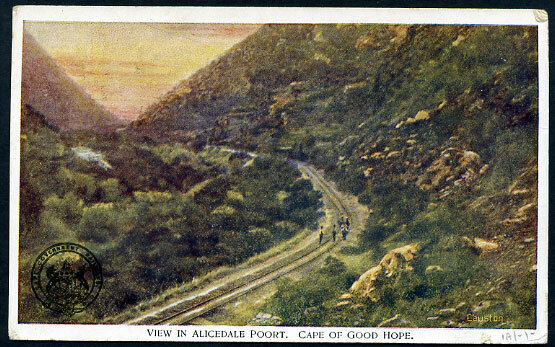 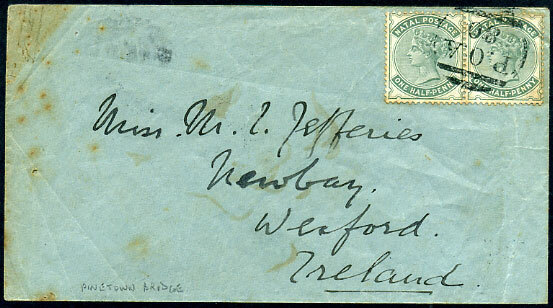 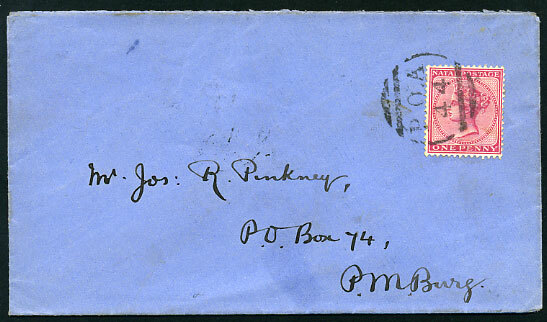 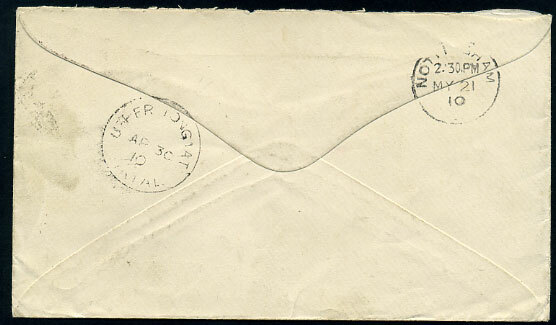 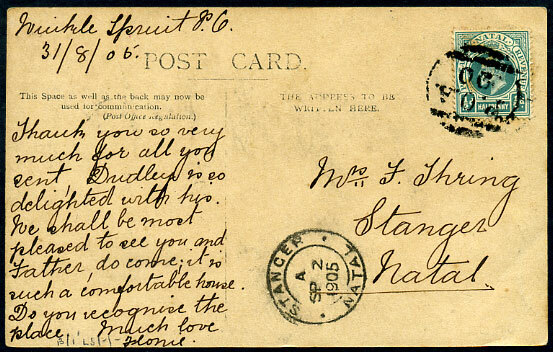 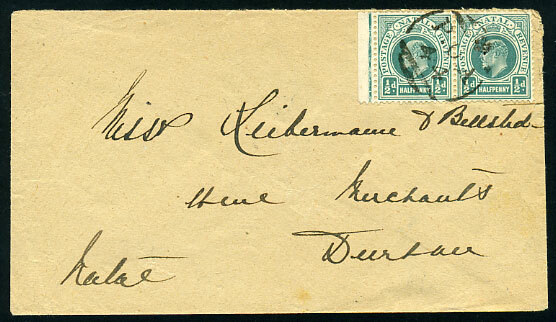 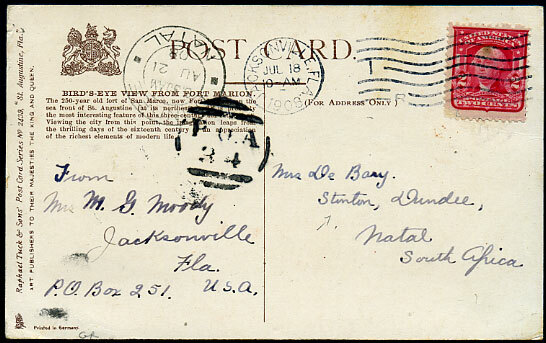 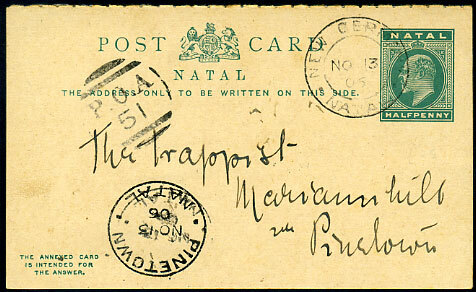 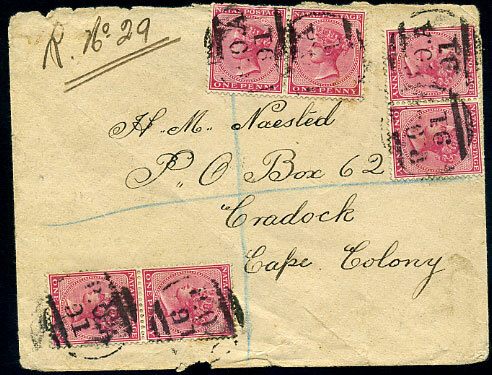 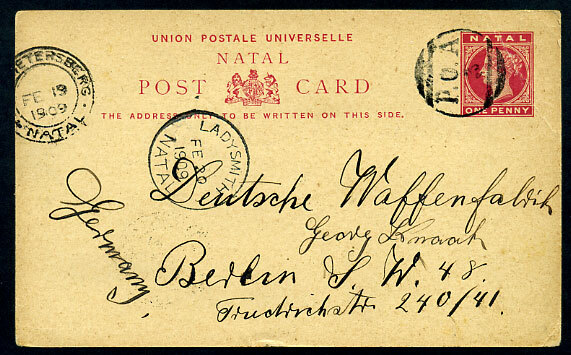 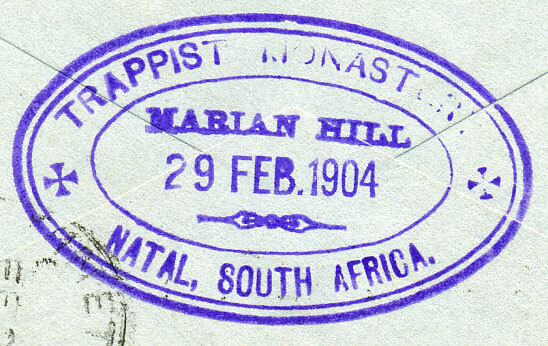 cover with pair KE7 ½d, b/stamped Dundee FE 15 10 and Durban FE 16 10.
on full cover, b/stamped Greytown JU 5 00 cds and Pietermaritzburg 6 JU 1900 d/ring. 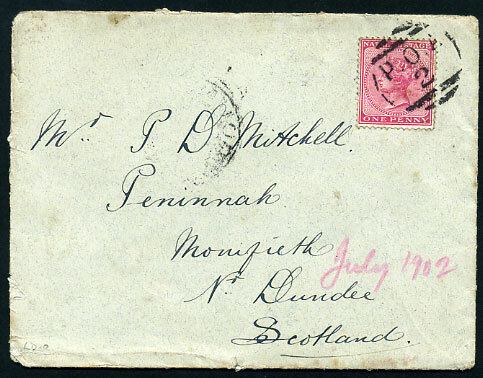 on full cover, b/stamped Dundee AU 24 02 arrival, slight soiling, opened 2 sides.